Astralean is a very interesting drug to pay attention to. First of all, Clenbuterol has a strong anti-catabolic effect, i.e. it reduces the percentage of protein degrading in muscle cells and helps increase muscle cells. Therefore, numerous athletes and apply Clenbuterol, especially at the end of the steroid course, to hold back the catabolic phase that arises and to maintain a maximum of strength and muscle mass. Another quality of Clenbuterol is that it has a significant fat burning effect. It burns fat without a diet with a slight rise in body temperature, which causes the body to use fats as fuel for such heating. - Strengthening the production of natural fat burners. The usual dosages of Clenbuterol are 40-160 mcg per day, although, as a rule, a maximum of 120 mcg per day is limited. 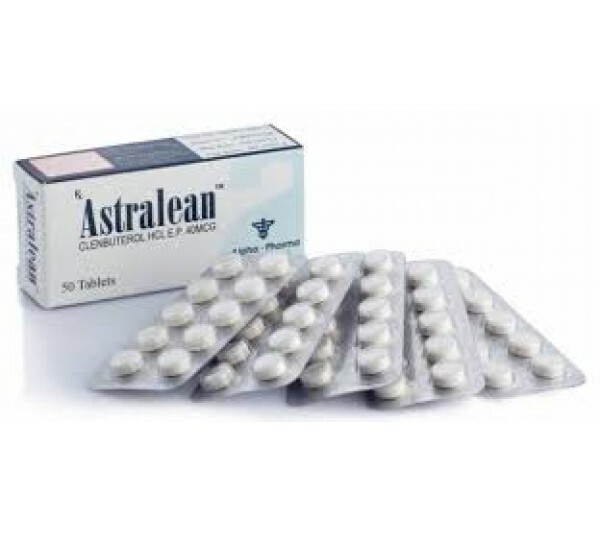 Buying and taking Astralean 40 mcg/tab - the lot of those bodybuilders who want to reduce the amount of their own adipose tissue. With this task, the drug copes well, so it receives only positive feedback. Athletes write that they felt a significant increase in metabolic rate and got rid of extra pounds without any problems. If we talk about side effects, then their number is not so great. In this case, most often there is a mild tremor of the limbs, which disappears over time, or a headache. According to athletes and pharmacologists, ketotifen allows to avoid these unpleasant phenomena. Thus, if you take the presented fat burner in properly selected doses, you will easily reach the goal. This is mentioned by all athletes who left feedback on the effect of the drug "Astralean".